Golden State Mint is proud to offer this amazing Gold Maple Leaf fractional set from the Royal Canadian Mint. 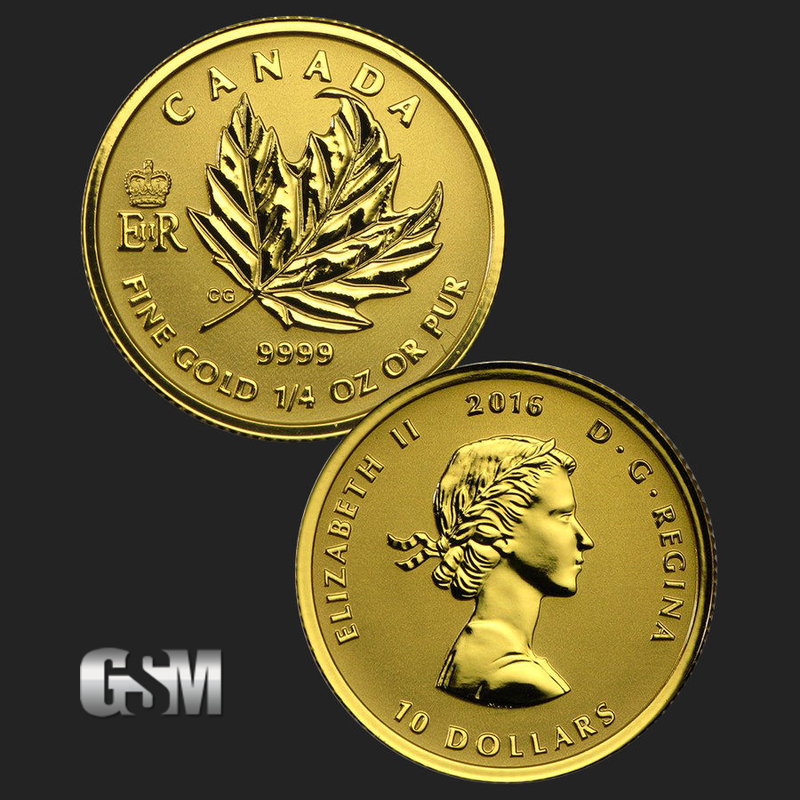 Minted in 2016, this set comes in a beautiful maple wood collector’s box, and contains 4 (four) sizes; 1 Oz, 1/4 Oz, 1/10 Oz and 1/20 Oz for a total of 1.4 Oz of .9999 fine Gold. 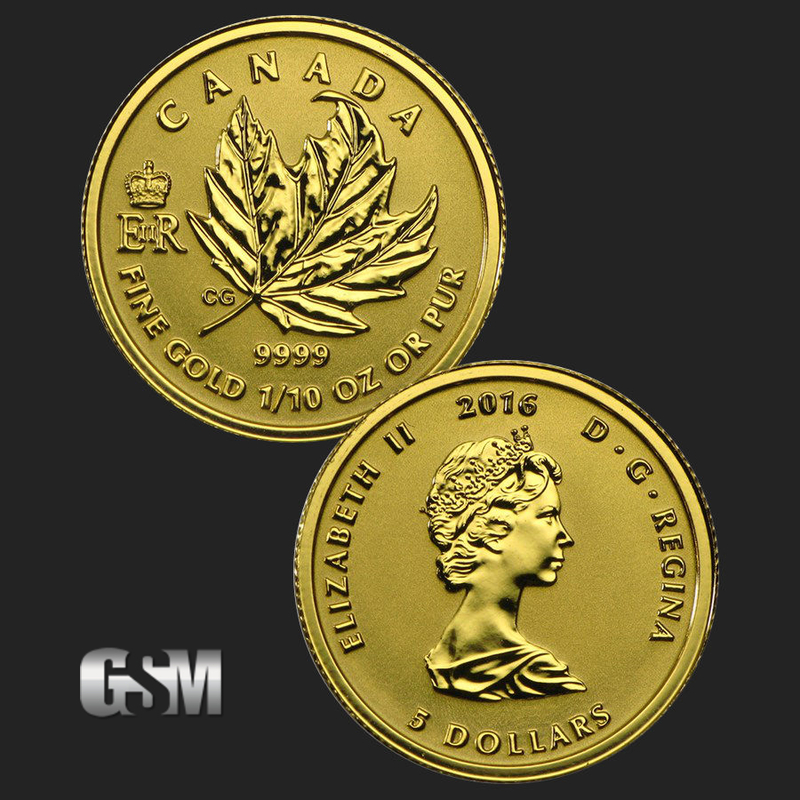 The obverse (front) of the Gold Maple Leaf coin displays the profile of Her Majesty Queen Elizabeth II, with each coin having a distinct right-facing profile, as well as the year (2016), and the face value. 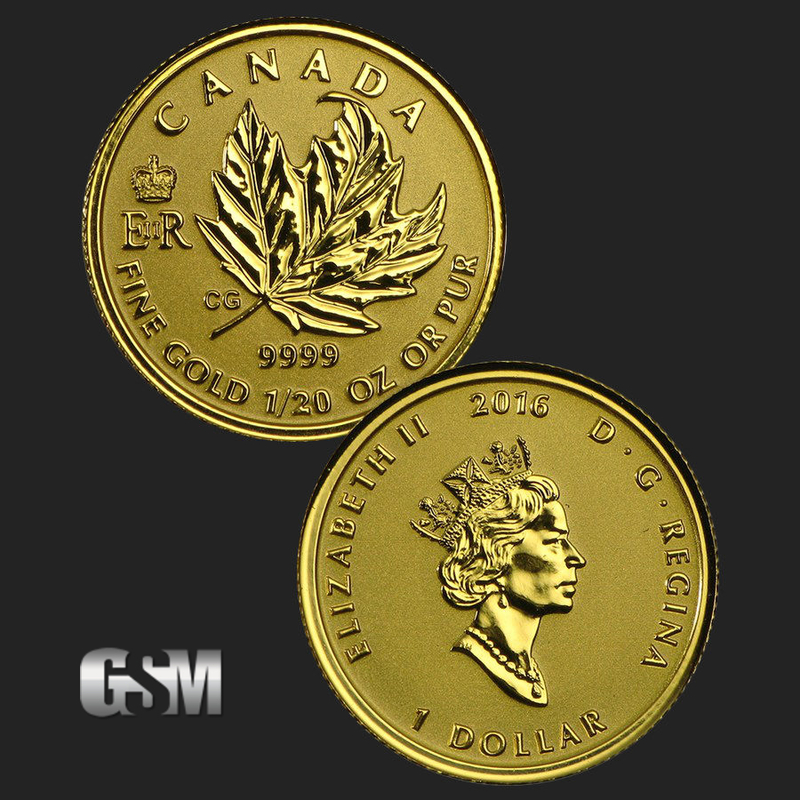 On the reverse (back), the namesake sugar maple leaf appears to float, as if carried on a brisk autumn breeze. 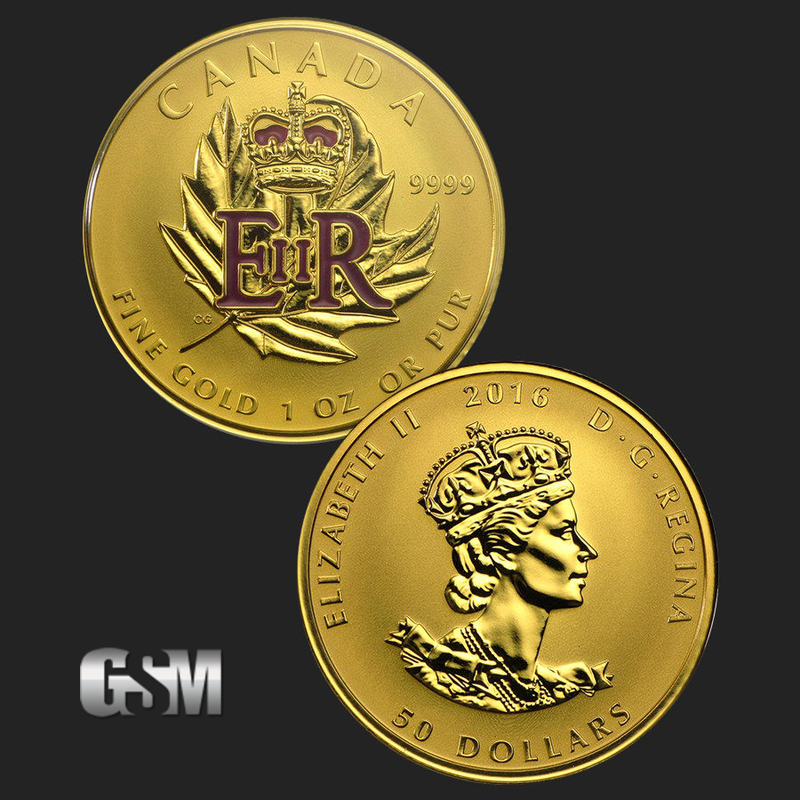 On the 1 Oz coin, there is an engraved Royal Cypher that is colorized in purple, along with a serialized number, which identifies the coin’s place in the production. 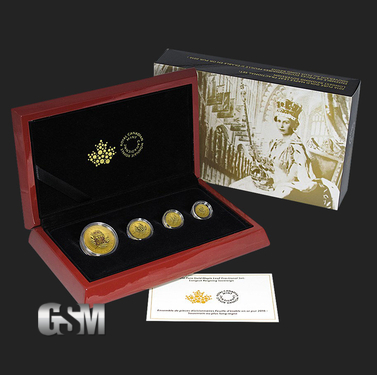 Within each box, you will find a certificate of authenticity, guaranteed by the Royal Canadian Mint. 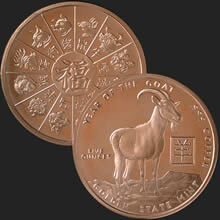 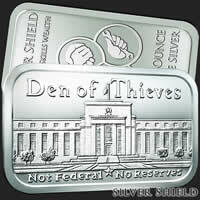 With only 600 sets made, this attractive coin set will be a valued addition to your collection. 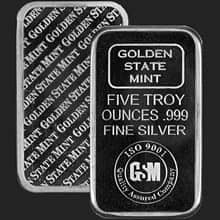 If you liked this product, you should check out our 2011 Britannia 4 Coin Gold Fractional Set, 1 oz American Silver Eagle Coin, and 1 oz Silver Saint Gaudens.